A man has been charged with stabbing a man to death at his home. 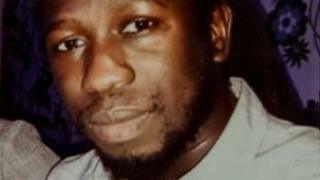 Tairu Jallow, 29, died at the property in Havelock Street, Kettering, on 14 January. Police said a group of men broke into the Gambian national's house before the attack at about 21:00 GMT. Clever Makande, 23, of Brandwood Crescent, Kings Norton, Birmingham, is accused of murder and is due at Northampton Magistrates' Court on Monday. A 29-year-old man from Birmingham and a 31-year-old man from Nottingham remain in custody on suspicion of murder. Northamptonshire Police said they would like to speak to anyone who saw a silver Audi A4 convertible and a dark blue BMW 1 Series which were believed to have been in the area around the time of the incident.